Each year, approximately 50 – 70 young men and women graduate from the Village residential school. The Village is extremely proud of the fact that, upon graduation, almost 100% of its graduates are inducted into the Israel Defence Forces where they proudly serve their country for a minimum of 2 (women) or 3 (men) years. 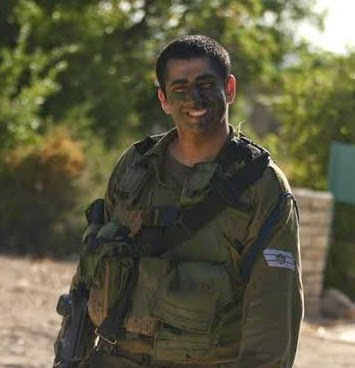 Israel is a small, family-oriented society and army service is often extremely difficult, dangerous and stressful. The IDF tries to allow its soldiers to have home leave as often as possible – usually every other Shabbat. Israeli parents are known to spoil their soldier children – providing good meals, family gatherings, home-baked goodies, laundry service and all the comforts of home plus whatever luxuries they can afford each time their soldier returns from the base or the battlefield. Many of the Village graduates are living in Israel without their families. A majority of these students are in Israel on the NAALEH Program sponsored by the Jewish Agency, which brings youngsters from the former Soviet Union to Israel without their families for 9th-12th grade. Other students are on the French Language Program, sponsored by the Jewish Agency, which brings youth without their families from French-speaking countries for 10th-12th grades. Still other students come from difficult home circumstances which make it uncomfortable or impossible for them to return to their homes when on army leave. These soldiers, having lived in the Village “cocoon” for 4-6 years, are now faced with life in the “real world” in addition to adjusting to army life. They need to deal with the problems and challenges of renting an apartment, paying utility bills, buying food (when the stores are often already closed by the time they arrive home close to Shabbat) and preparing their own meals. After living in a warm, supportive atmosphere surrounded by their friends, they are suddenly on their own when they most need the warmth and the peer support. The Village has plans to build a residence for its lone soldiers which will provide the soldiers with all the comforts which they enjoyed as students at the Village – warm meals (and a kitchen in which they can prepare their own meals, should they choose), bedroom and bath, laundry facilities, a caring staff person and a welcoming peer group. They will, therefore, be able to concentrate their energies on dealing with army life without the worries of “survival” when on leave. Army leave will be a time of relaxation and unwinding – without all the problems and challenges of independent living. While they strive to serve their country, the soldier can remain within the Village family and still feel a part of, what has been for many, their first and only home in Israel. Plans are underway to construct an additional floor on an existing dormitory building with a separate entrance. This addition of 375 square meters will include 10-12 living units with adjoining bathroom, a lobby/lounge, staff room/sealed security room, kitchenette and laundry room. begin in summer 2016 and to be completed within 11 months. vision into a reality. This vital service service to the Village is an investment in their future and the future of the State of Israel. We welcome all donations, large and small.